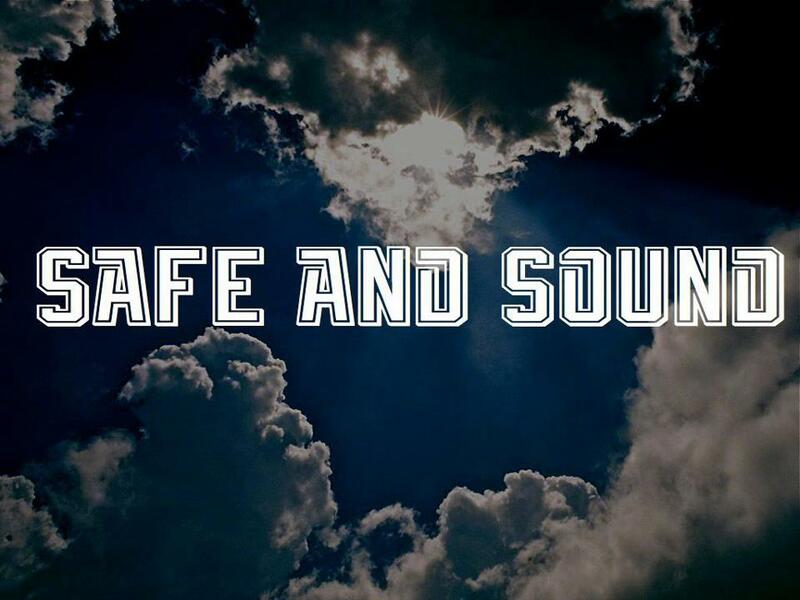 Yesterday, we posted the video for The Playdates song “Safe and Sound”. The song was moving in and of itself, but to find out that the lyrics were based on a letter that a fallen soldier had written to his wife and baby girl before he died made it all the more heart wrenching. Instantly, we shared this song with who ever would listen. It made it even more suiting that the band released it on Veteran’s Day and I am sure a lot of people that had listened to it took comfort from it. Yesterday, I also did not know who Todd Weaver was. I didn’t know who Kiley Weaver was and I also didn’t know who Emma Weaver was. Thanks to commenter “Michael”, who posted a link to the Daily Mail article about the family, I quickly became familiar with the Weavers. Todd Weaver was killed by an IED on his second tour of duty in Afghanistan in September of 2010. Days after his wife, Emma, laid him to rest in Arlington National Cemetery, she opened Todd’s laptop and that’s when she saw two Word documents. One was titled “Dear Emma” and the other was titled “Dear Kiley”. 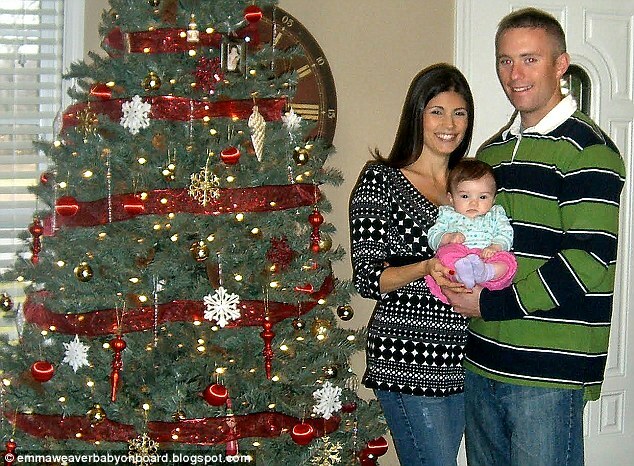 Kiley was Todd and Emma’s baby, 9 months old at the time of his first deployment in June of 2010. She immediately realized that her husband had written them both in case of his demise. The letters, both tear jerking to read, touched a lot of people. One in particular was Atom, the lead singer from The Playdates. I got the chance to ask him a few questions about this project and how it affected them and what their hopes are for the song. I just now saw an article from 2011 about this particular soldier and his letters. When did you find this story and did you know right away you wanted to make it into a song? I read the letter online in September of 2011. It was posted on a blog website I believe and I randomly came across it. I had no intentions of making it into a song but it literally brought me to tears after reading it. I couldn’t imagine having to write down your final words to you’re loved ones. He wrote so perfectly and was so understanding and brave. Did you have any contact with the family? If not, do you hope you meet them or at the very least be able to have them hear the tribute you guys have made? I do not know the family personally. I only know what the letter provided me with. I’m not sure I would know what to say if I met them. I’ve always been better at expressing emotions in songs rather than in person. I would hope the song would give them comfort and know we appreciate all that he has sacrificed. How long have you had this song written? Did you save it for a Veteran’s Day release? We recorded the song in November, 2011 in Montreal, Canada with producer Luc Tellier. We didn’t plan on releasing it on Veteran’s Day until about 3 days before. We knew how special the song was to us and the release date just kind of worked out. What are your hopes for the song? What do you want people to take away from this? Honestly, we just want this song to help people out in the same situation. It’s doesn’t have to be a story of a soldier. It can be about anyone who has lost someone. We also wanted to bring light to the people who risk so much and know they aren’t forgotten. It’s easy to forget how lucky we all truly are. Any message for Emma and Kiley? If I could say anything to them it would be thank you. Reading that letter truly made myself (and I think a lot of others) remember just how lucky we are. From what I read he seemed like an amazing husband and father. Also I hope you enjoy the song. What we do isn’t as meaningful but I hope it can bring a little joy in your life. Big thanks to The Playdates not only for the song, but for the quick cooperation in answering questions for this interview. For those of you who may be unaware, The Playdates are a hook filled pop/rock group from Canada’s East Coast. The band, consisting of Atom on lead vocals, Chris on drums, Aaron on guitar and Ryker on the keys, is a formation of musicians who have been playing in bands for over a decade, yet are still in their twenties. There songs can be heard across the country on Canadian radio and in TV and movies. Make sure to check them out here and on Facebook. As a persona friend of both Emma and Todd, thank you for bringing his letter to life in a powerful way through music.